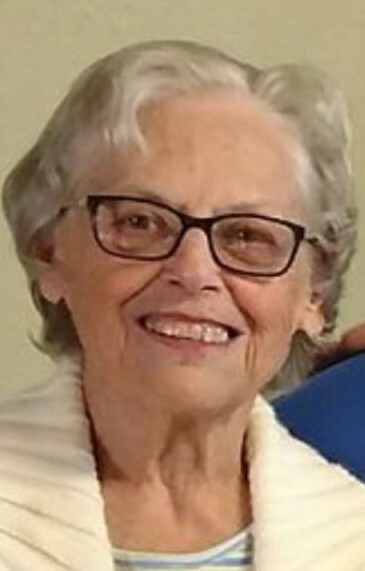 Virginia Anderson, 86, of Halfway, OR beloved mother, sister, grandmother, great grandmother and friend joined her beloved husband Leo on Saturday, January 26, 2019. A Traditional Funeral Service and celebration of her life will be held on Friday, February 8, 2019 ~ 11:00 a.m. at The Church of Jesus Christ Latter-day Saints in Halfway, Oregon. Interment and dedication of the grave will follow at the Pine Haven Cemetery. Friends are invited to join the family following the interment for a reception to be held at the church. The second of six siblings, she was born July 5, 1932 to William A. and Emma E. Jeffers. On April 8, 1950 she married Leo D. Anderson in Chadron, Nebraska. Life proved to be an adventure in the early years of her marriage to Leo. His career as a heavy equipment operator moved the family throughout the west, including Alaska, before settling in Danville, California. California always held a special place in Ginnie’s heart. Lifelong friendships were created while raising her children. The closeness she nurtured with dear neighbors, fellow church members and cherished extended family is felt to this day. Retirement brought them to 20 acres in Halfway, Oregon where their twilight years were spent traveling, gardening and bonding with grandchildren. After Leo’s passing in 1997, Ginnie embraced the challenge and managed the homestead alone for over 20 years. Ginnie showed her love through service. Whether serving her family or her church, making others feel comfortable and content gave her great joy. We will all be forever grateful for her sacrifices and she will be greatly missed. Ginnie was preceded in death by her parents, husband Leo and infant son Randall Wade. She is survived by her daughter and son in law, Gaye and Dennis Bledsoe of Halfway, Oregon; son and daughter in law, Eric and Julie Anderson of The Woodlands, Texas; grandchildren, Jared Bledsoe, Amber Gereke, Alayna Weimer, Lisa Vorwaller, Rebecca Despain and Olivia Anderson and 10 great grandchildren. We would like to expressly thank Heart ‘n Home Hospice, specifically Vanessa, Hilary, Frankie and Mary whose loving care provided such beautiful physical, emotional and spiritual comfort to Ginnie and her family during her final months.